I just recently came across danish studio "Stupid Studio" and I really like a lot of their projects. 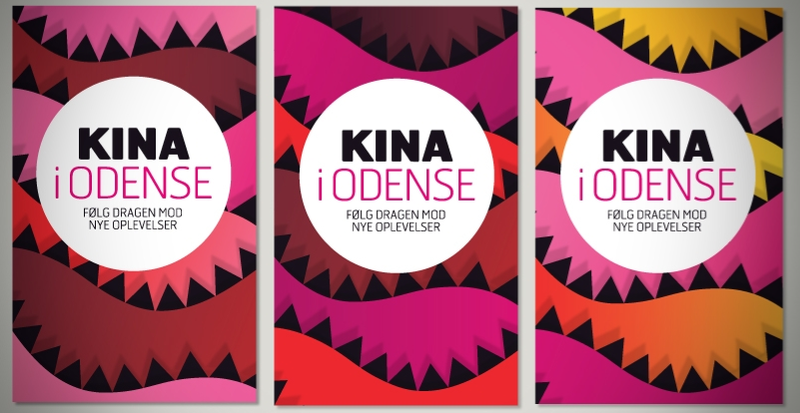 In particular I really like the campaign "Kina i Odense"(China in Odense) - celebrating Odense's participation in the EXPO2010 in China. Stupid Studio created the identity inspired by the Chinese Dragon in line with the pink color and official identity of Odense. Check out the rest of their work: Stupid Studio.